The statement further stated that the Board of Directors will be recommending to the Company’s Shareholders at the Annual General Meeting coming up on the 17th of May, 2019, the declaration of a total dividend of N19.4 billion, that is, N2.43k per share representing a hundred percent dividend pay-out ratio. The Company had earlier, in 2018, paid an interim dividend of N4.8 billion which translated to N0.60k per share; thus, the final dividend will be N14.6 billion, that is, N1.83k per share. If the proposed final dividend is approved, this will become payable on the 20th of May, 2019 to all Shareholders whose names appear on the Company’s Register of Members, at the close of business on the 6th of March, 2019. In the statement signed by the Company Secretary/Legal Director, Uaboi Agbebaku, the 2018 Profit after Tax was lower than the N31.6 billion recorded in 2017 representing a forty one per cent decline, while the Revenue also dipped from the N344.5 billion recorded in 2017, a six percent decline. 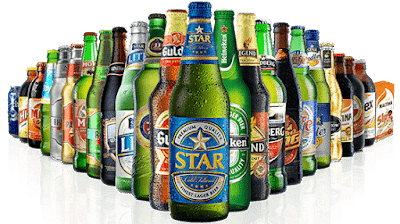 The Statement added that the 2018 Results were adversely impacted by the increased excise duty rates that came into effect during the year and a challenging operating environment.